We seek solutions that can scale in both good times and bad. We aspire to identify and fix root causes, which means we are willing to disrupt systems to correct the failure of markets and policies to provide inclusive opportunities. We know we are making a difference when markets generate assets and gainful employment for more residents, policies strengthen housing and family stability, and solutions attract significant resources and cross-sector partnerships. We work in the metropolitan region in partnership with hardworking communities so all can share in the region’s prosperity. 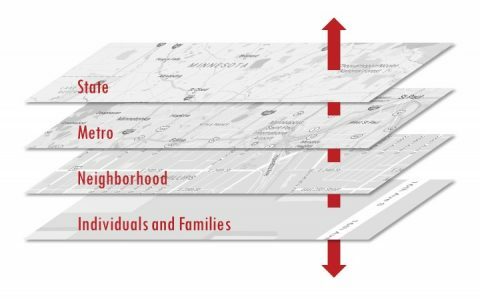 We accomplish this by creating places where residents have equitable access to core assets: housing, economic opportunity, and transportation infrastructure that connects them to work, school, and community. These core assets provide people with pathways to self-sufficiency for themselves and their families. Such independence leads to stable homes and supportive networks that allow residents to access and fully utilize resources for education, training, and careers. Economically successful residents build stronger neighborhoods and local economies that generate new possibilities—creating additional assets, encouraging entrepreneurship and economic diversification, and building social capital. A virtuous cycle of increasingly robust communities generates stronger, more diverse, and more inclusive pathways for people, place, and possibility. We foster integrative planning and development that is economically efficient, environmentally sound, and socially equitable. 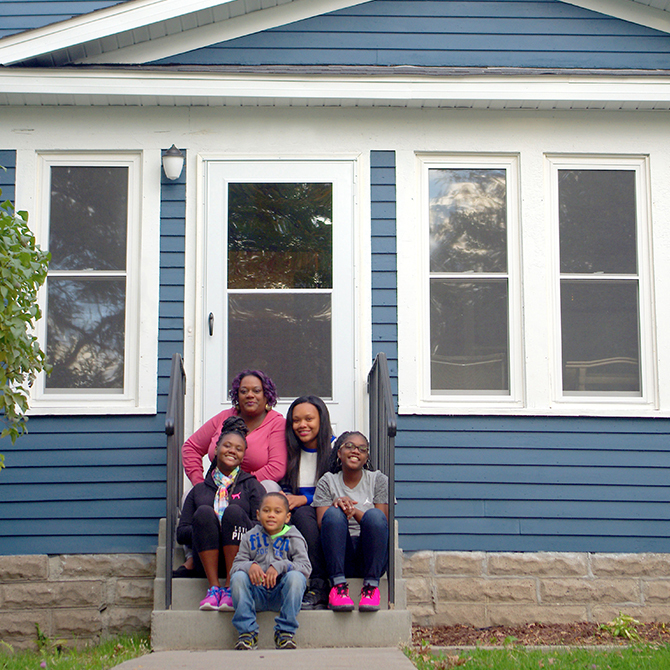 We support affordable housing strategies and systems that increase family stability and link families to opportunities through transportation-oriented development, locational and energy efficiency, expanded diversity of choice, and increased access to education and employment. We promote economically vibrant neighborhoods that create communities of opportunity and offer integrated systems of support. Here are the tactics we use to support these strategies. Increase compact regional development and redevelopment; maximize sustainable private and public investment; and foster more livable communities. 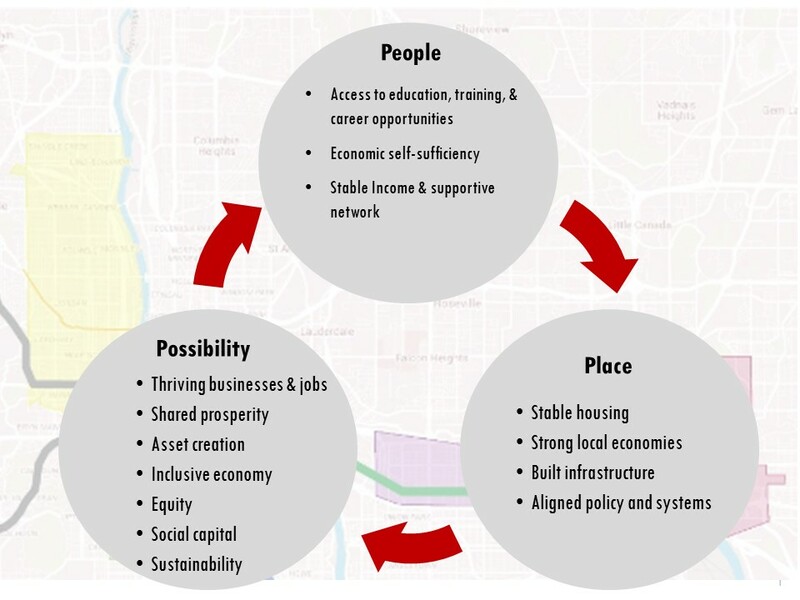 Implement balanced development that integrates systems of transit, open spaces, parks, housing, and job density to connect people and places to possibilities. 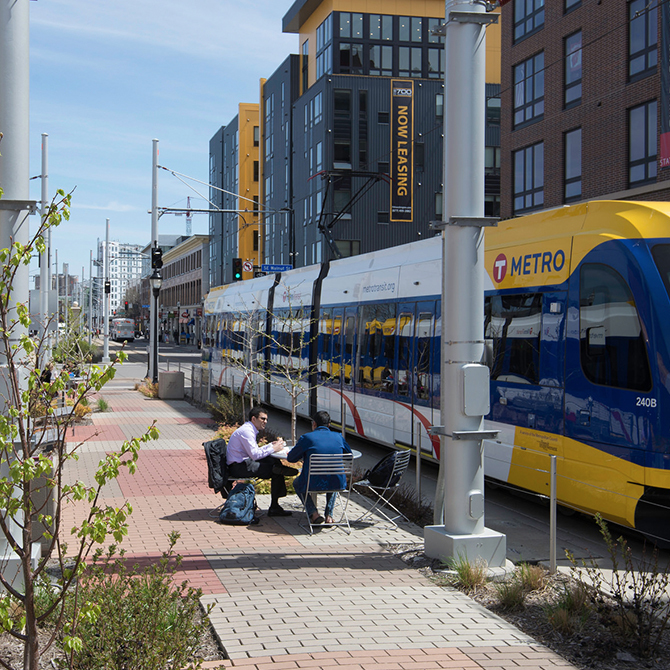 Accelerate development of a multimodal transportation network that enhances neighborhood vitality and regional competitiveness, benefits low-income communities, and unlocks resources for more sustainable investments. Support data-driven research and catalytic demonstration projects that inform and shape policy reform, and align and leverage public, philanthropic, and private resources. Accelerate the pace of production, preservation, and permanency of affordable housing, connected to transportation, jobs, and supportive amenities. Promote innovation and high-quality design that build more livable communities, creating a more balanced and sustainable mix of housing choices. Promote partnerships to increase public and private support of affordable housing as a fundamental characteristic of sustainable communities. Advance regional housing strategies through high-capacity housing development entities that expand location and energy efficiency choices for people while creating healthier local housing markets. This strategy typically funds systems analysis and adaptation as well as integrated efforts through strong field intermediary organizations. It is the only strategy with some statewide investments. Engage residents, organizations, government, and businesses in achieving equitable development, creating economic opportunities, and building neighborhood resiliency through collective action, collaboration, and policy change. Implement place-based approaches that connect residents to greater economic self-sufficiency, including access to employment and training opportunities and family work supports. Improve retail, commercial, and new industry development along selected transportation and housing corridors (and surrounding communities) that advance more sustainable, opportunity-rich communities and increase social and economic capital. 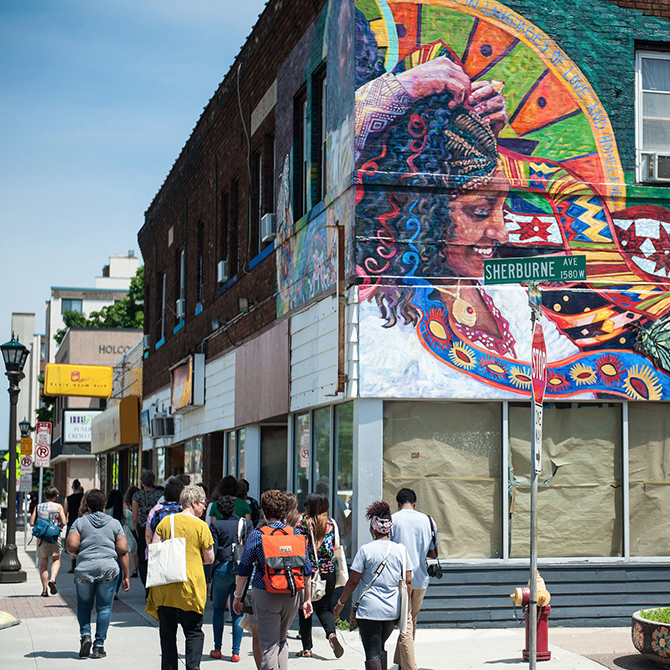 Advance neighborhood development tied to regional economic development strategies that engage multisector partnerships providing quality jobs and career pathways toward greater economic self-sufficiency. 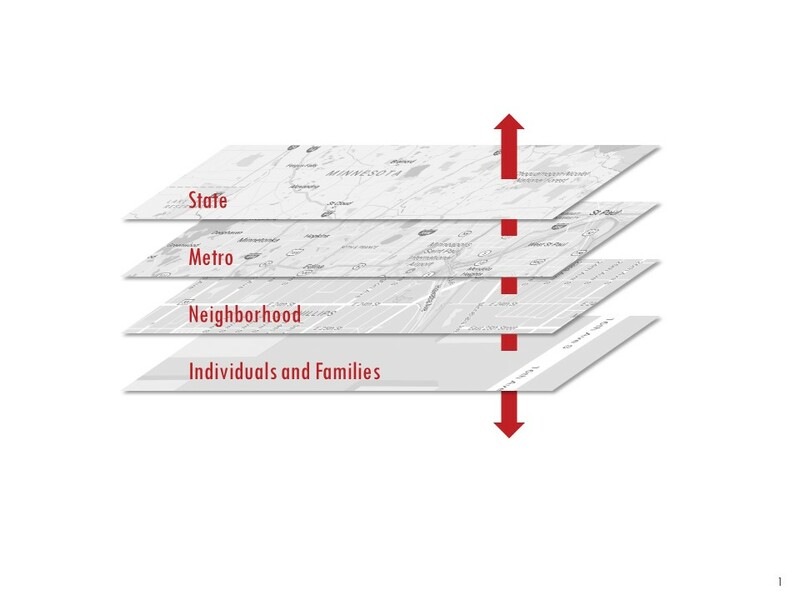 Our work is fundamentally place based, focusing primarily on the Minneapolis–St. Paul metropolitan region and including statewide work on affordable housing. We concentrate much of our metro work in disinvested neighborhoods and transportation corridors where we see an abundance of opportunities that have yet to be tapped. We listen to community members, and we ensure they have a voice in how their neighborhoods develop. We seek out and support work that is comprehensive and connected across systems and our communities. As we deploy resources, we draw on a broad set of horizontal relationships with nonprofits, civic organizations, government, and the private sector to promote integration, alignment, and balanced participation toward shared goals. We also work vertically, leveraging policy and influence at multiple scales—state, metro region, and neighborhoods—to create opportunity. Recognizing that the investments needed are much larger than the McKnight Foundation or any other single organization can bring, we strive to leverage substantial sources of funding through public policy and partnerships and by strengthening the ability of markets and the private sector to invest and create opportunity. We strategically use credible influence and collaboration to lead innovation and scale solutions. We expect continuous improvement and accountability of ourselves and our grantees. Our primary tools for this work are grantmaking, convening, collaboration, brokering relationships, and encouragement of policy reform around sustainable regional development, homes for all, and economically vibrant neighborhoods. Learn more about eligibility requirements, selection criteria, and deadlines on our how to apply page.